Go on a shopping spree to your favorite shopping destination with some awesome hotel deals of upto 70% off! Save more so you can shop more! 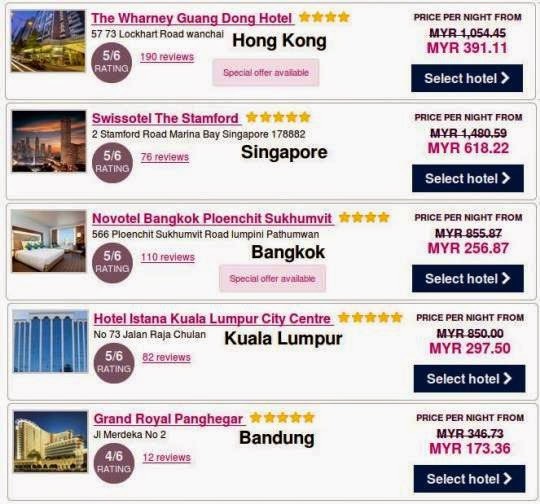 Shopping Destinations : Hong Kong, Singapore, Bangkok, Kuala Lumpur, Bandung etc.